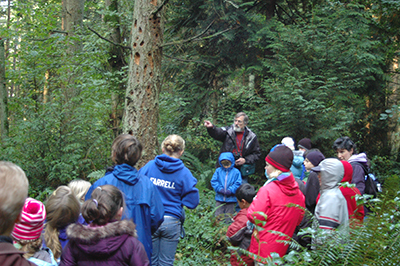 The Foundation's environmental and education programs include stewardship, interpretation, and elementary education. We conduct events for adults, families, scouts, and school groups. Please see our calendar for a schedule of our public events. For information on our programs, or to arrange a custom education program, nature walk, or stewardship event, contact us at programs@bridletrails.org.